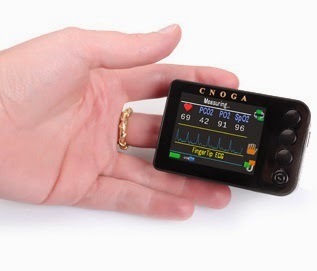 Israel’s CNoga Medical, which develops non-invasive, touch free medical technology, has raised $12.5 million in financing from the Chinese investment fund GoCapital. The investment is the second investment made by GoCapital in Israeli start-up. The new investment will be used to continue the development of its products. Former CEO and founder of OPlus Technology, Dr. Yosef Segman, established CNoga Medical in 2004. The company works with international prominent technology companies such as Texas Instruments and PNY Inc., which dominates the US flash memory market. CNoga Medical is focused on research and development into enhancing and developing its range of non-invasive technologies. The company’s main product is used to check the glucose levels in people who suffer from diabetes. Its TensorTip Combo Glucometer (CoG) is a non – invasive, needle-free, portable device. CNoga’s patented algorithms and technology transform the current blood glucose test into a painless and easy procedure. CNoga also has a device for monitoring blood pressure. The TensorTip Vital Signs Monitor (VSM) takes advantage of CNoga Medical’s non-invasive technology to offer continuous readings of blood oxygen saturation (SpO2) and pulse rate (PPM) as well as blood pressure (diastolic and systolic), without needles or cuffs. A detailed panel reveals the capillary pulse waveform and blood pressure variation. Results, past and present, are at your fingertips, stored as easy-to-read history entries in your VSM. The company previously raised $8 million from private investors in Israel and abroad.